First published on my Facebook page July 21 2014. That there were 3 BUKs that crossed from Russia. The picture in the bottom left in the collage was alleged in Western Media to show 3 BUKs crossing from Russia into Ukraine. 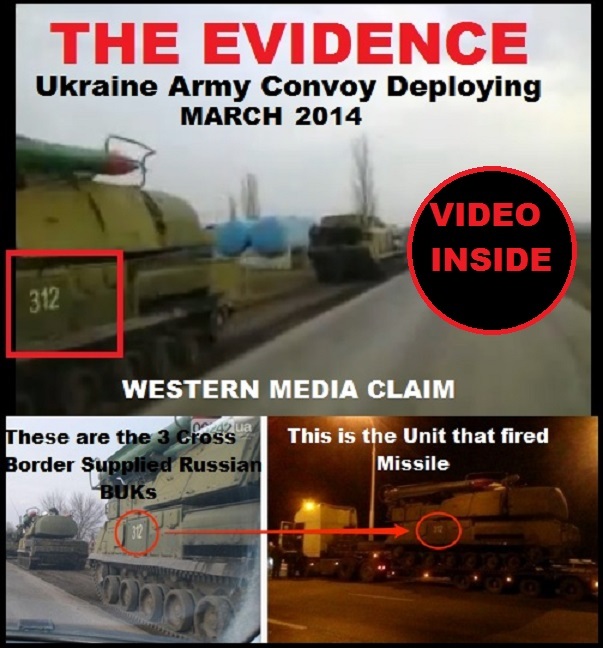 As you can see from video dated March 2014 from inside the Ukraine the BUK now said to have fired missile is part of Ukraine Military inventory ! YES Bring on the investigation and in the meantime the Ukraine Government continue to bombard and kill civilians and now makes a huge push the gain control of the “crash” site with the probable purpose of “Cleaning up” that is hiding or getting rid of evidence.